As I mentioned in an earlier post—Mongolia: First Impressions—the smog in Ulaanbaatar (UB) was the first thing I noticed as my plane came in to land at Mongolia’s capital. 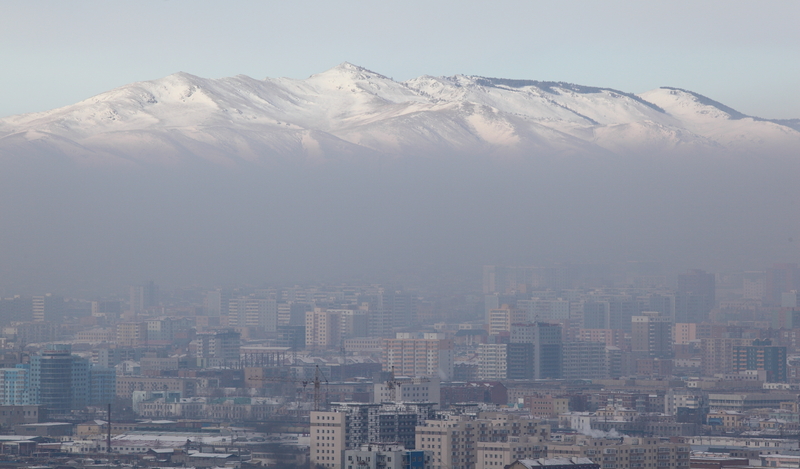 During Mongolia’s long and harsh winters, UB’s air quality plummets to become the second-polluted in the world. 60% of the pollution comes from households burning coal in small stoves. UB’s population of 1.4m—almost half of Mongolia’s total 3.0m population—has grown rapidly in recent years, driven by families migrating to the capital from rural areas. Most of these families live in gers, traditional nomadic felt tents. To keep warm during winter, they burn coal to stay warm, with the average family consuming 4.5 tonnes of coal during a single winter.